Ono no Komachi 小野小町 was a poet of unparalleled beauty and renown. Not only was she one of the most famous and well respected poets of the early Heian Period 平安時代, the golden age of Japanese poetry, but the rumor and awe surrounding her beauty has left its mark on Japan to the present day. It is widely accepted that Ono no Komachi was born in Akita Prefecture 秋田県, when it was still known as Dewa 出羽国（）, in what is now Yuzawa City 湯沢市 around 834 AD. Her father Yoshisada was (most likely) the lord of Dewa at the time and sent his daughter to Heian-kyō 平安京（） (modern day Kyoto). She was around twelve or thirteen when she went to serve in the Imperial Court. It is rumored that she had an older sister who was also sent to Kyoto, but she never reached the level of fame that her little sister attained. During the Heian Period the Imperial Court was all about aesthetics. The two most significant were Miyabi 雅（） (Refinement/Elegance/Courtliness) and Mono no aware 物の哀れ（） (Sensitivity). The former meant the removal of all things vulgar or absurd, and the latter was the ability to be moved by nature, a melancholy over the impermanence of things in this world. For someone to be considered attractive in the Heian period they needed to be both refined, elegant, and sensitive. They expressed these qualities mainly through poetry. Poems were the primary form of communication between those at court, men wrote poems to men, women to other women, and of course, lovers and married couples wrote poems to one another. Poetry competitions were held regularly, and the most sensitive poem that referenced proper seasonal and older poetic tropes would bring renown to its writer. Genji’s (of the Tale of Genji) charm came from his ability to feel, and his expression of those feelings through poetry. Heian aesthetic was also expressed through the way people dressed. 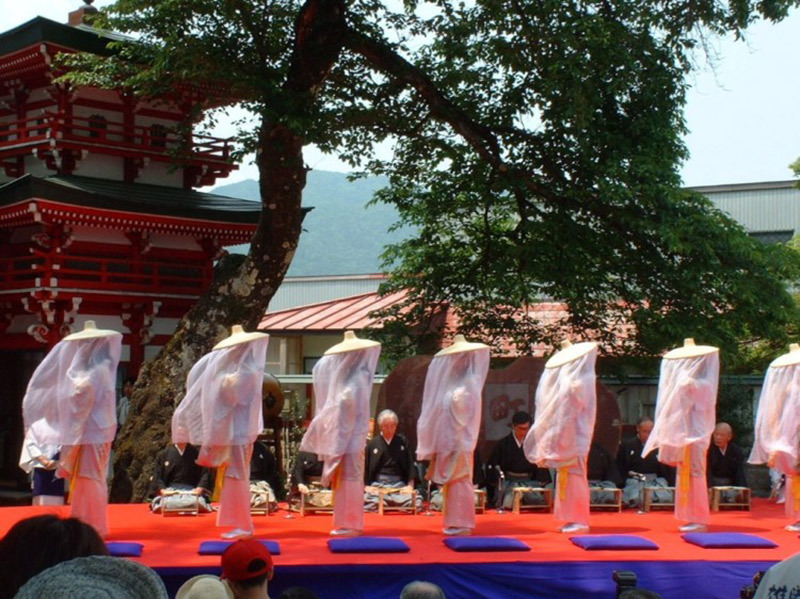 Women had to wear long robes called jūnihitoe 十二単（） , or twelve layer robes. They were extremely complicated, colorful kimono that had numerous layers and could weigh almost forty-five pounds. The more layers, the more impressive. You certainly couldn’t put them on by yourself. 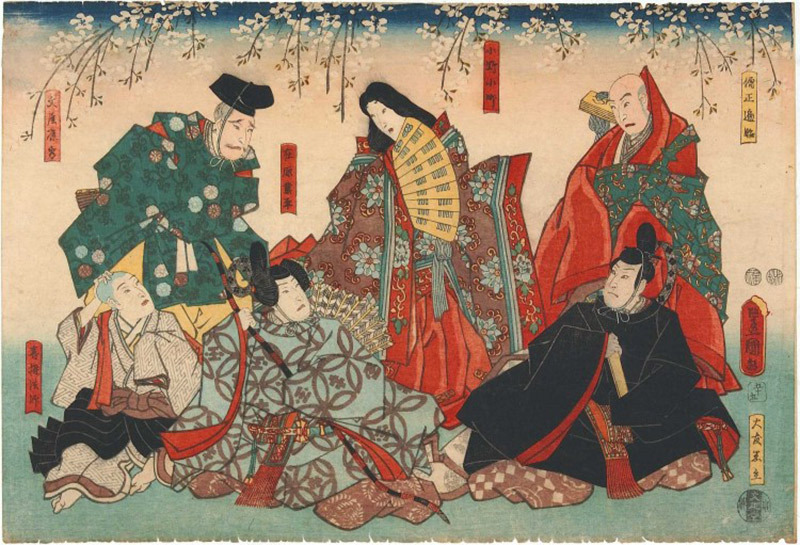 All of these qualities defined what beauty was to the Japanese nobility. 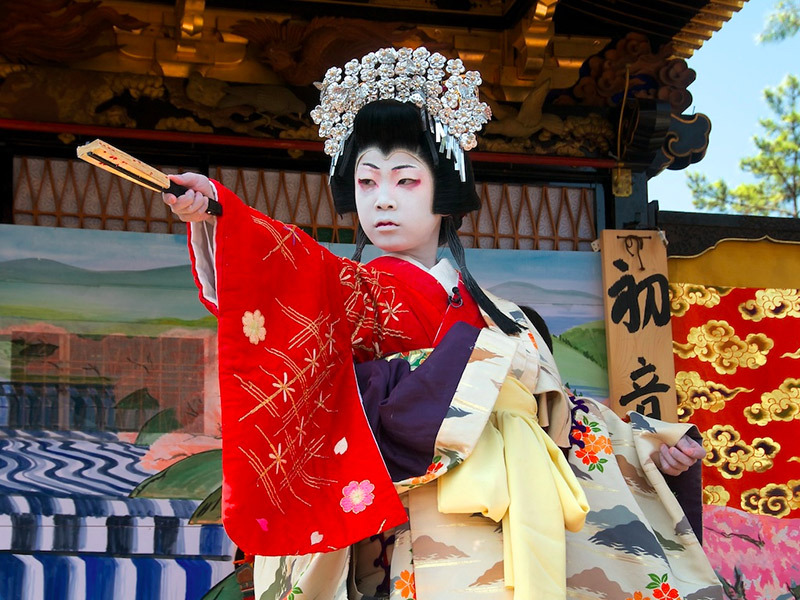 Ono no Komachi had all of these qualities and she excelled in the world of the Heian court. While she was known for her skills at the koto, calligraphy, singing, and dancing, it was her poetry that brought her the most attention. She wrote mainly about love, and the poems she wrote to her many lovers actually help us to know when she was at court. Her most famous relationship was with Fukakusa no Shosho 深草少将. 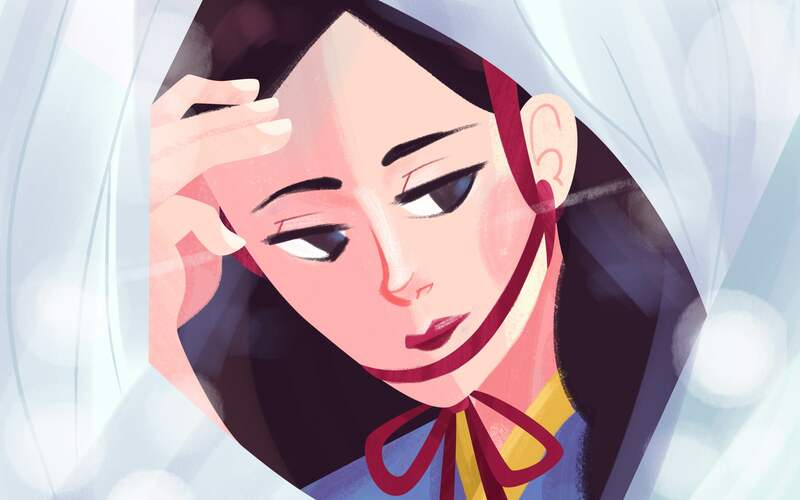 Her poetry is full of longing, heartache, and emotional intensity and the waka 和歌（） style that people were using at the time fit her own perfectly. As a side note: having many lovers was in no way considered to be a bad thing at this time. Men and women often had more than one lover, but that didn’t make the emotional strain when someone you had feelings for moved on to someone else hurt any less. Please do not mistake Ono no Komachi for some kind of concubine or anything out of the ordinary. Are leaves of turning colors. Even in translation, her passion seems to pulse through the page. Her poetry is so highly regarded that she is listed among the Rokkasen 六歌仙（） (Japanese Poetry Immortals), as well as in the introduction to the Kokin Wakashū 古今和歌集（） (also known as the Kokinshū), which contains the only surviving works by Ono no Komachi. She is also one of the Sanjūrokkasen 三十六歌仙（） (the Thirty-six Immortals of Poetry) and the Nyōbōsanjūrokkasen 女房三十六歌仙（） (Thirty-six Immortal Lady Poets). Her poetry and her ability to fit within the aesthetic world of the Heian court were amazing. But what exactly is it that makes her so important? She’s had an even bigger impact on Japan than many people realize, especially in how people look at her supposed birthplace, present day Akita Prefecture. From left to right: Ono no Komachi, Sotoori-hime, The Third Princess (Onna San No Miya/Nyōsan). You may have heard the term Akita Bijin 秋田美人（） before in Japan. It’s a term used for really beautiful women from Akita prefecture, and some other parts of Tohoku. There is a certain something that young women from that area seem to have, and when people talk about their ideal woman, or who the most beautiful women are in Japan, Akita Bijin may come up. This concept of beauty and the traits involved are all rumored to be qualities that Ono no Komachi had. She was the ideal, a perfect woman who came from far away to the capital to serve in court and her beauty was what everyone longed for. Today you can hear people saying how good the rice in Akita is. “It’s so good for your skin,” they say. And the water is so fresh up there, drinking and soaking in it makes your skin so smooth and white. These were all things I heard firsthand when I told people I was going to Akita to study. So was it these natural resources that gave Ono no Komachi and other women their beauty? Water and rice? There are other theories. This pale complexion is more likely from the fact that it snows in the Tohoku region. A lot. The summers are fairly short and the winters are excruciatingly long. This means that people aren’t getting a lot of sunlight, so of course they’re going to be pale compared to someone from Kyoto. In the 1960s, studies were done by a physician in Yuzawa City, measuring the whiteness of women’s skin. He found that a mix of the climate and geological environment were what made their skin so white. According to this study, 29.6％ is the “whiteness” of Akita Bijins, while the Japanese average is 22.0％. Apparently this is a noticeable difference. While the rice and the water may help, seeing as they’re actually pretty tasty, as well as the lack of sunlight, it’s more likely that Ono no Komachi’s legacy is the cause. Her looks were enhanced by her sensitivities and her poetry. Her pale skin and soft round face may have become popular more so because of her ability to fit within the aesthetic of the Heian court, than her looks themselves being attractive. In other words, the idea that her features were beautiful were a result, not a cause. Writers have been using Ono no Komachi as their personification of beauty and poetic skill for over one thousand years. She has been used as the subject of seven Noh plays: Sotoba Komachi 卒塔婆小町（）, Sekidera Komachi 関寺小町（）, Ōmu Komachi 鸚鵡小町（）, Sōshi Arai Komachi 草紙洗小町（）, Kayoi Komachi 通小町（）, Amagoi Komachi 雨乞小町（）, and Kiyomizu Komachi 清水小町（）. Sometimes she appears as an old woman, destitute and lamenting over her former glory as a poet in court. Other times she comes back as the ghost of the beautiful woman she was, appearing to people and reciting her poetry. In every case she is remembered for her great beauty and masterful poetry. She also appears in four Kabuki plays: Tsumoru Koi Yuki no Aeki no To 積恋雪関扉（）, Saruhodoni koi non omoni 去程恋重荷（）, Rokkasen Sugata no Irodori 六歌仙容彩（）, and Waka no Toku Amagoi Komachi 和歌徳雨乞小町（）. She also appeared in a manga that started in 2010 called Chōyaku Hyakunin isshu: Uta Koi 超訳百人一首 うた恋い（）, which is still being published. It’s all about, you guessed it, poetry exchanged between Heian nobility and love. The anime aired in 2012. If you add Komachi to a product, it instantly becomes more marketable and hints at elegance. This rice not only takes Ono no Komachi’s namesake, but companies use her image for marketing as well. 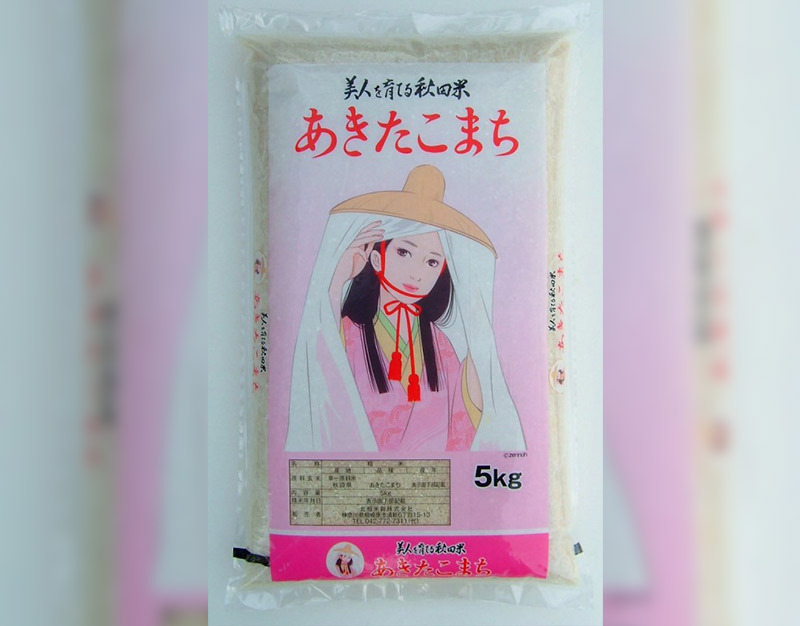 It’s easy to see how people think that the rice is what makes the girls of Akita so pretty when they use this kind of imagery. This rice isn’t what gave the original Akita Bijin her beauty though, as this strain of rice didn’t exist before the 1980s. 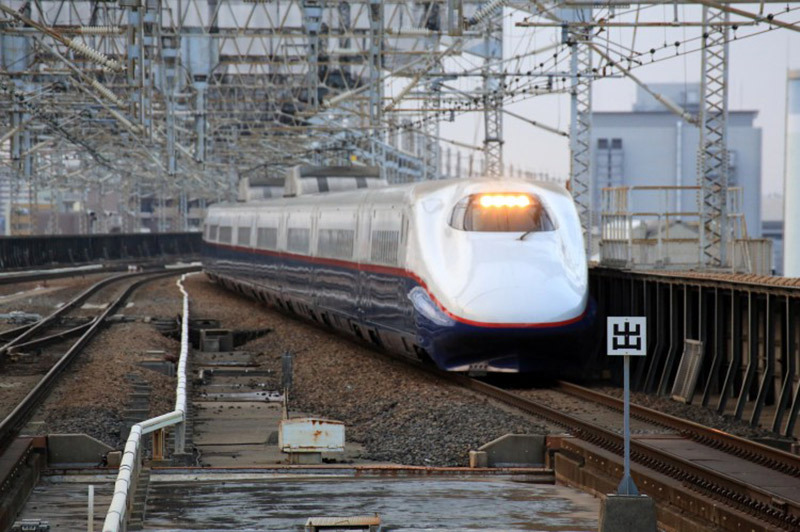 Created in 1997, the Komachi Shinkansen runs from Tokyo to Akita. The name was voted on by the public, second and third place were Obako おばこ（） and Tazawa たざわ（） respectively. The train was upgraded in 2013 and is one of the best ways to travel to Akita without flying directly to their airport. What better way to pamper yourself than in a hotel that has a bunch of hot springs. That Akita water is sure you make your skin soft and bouncy, just like Ono no Komachi. They don’t just have one big communal hot spring, mind you. 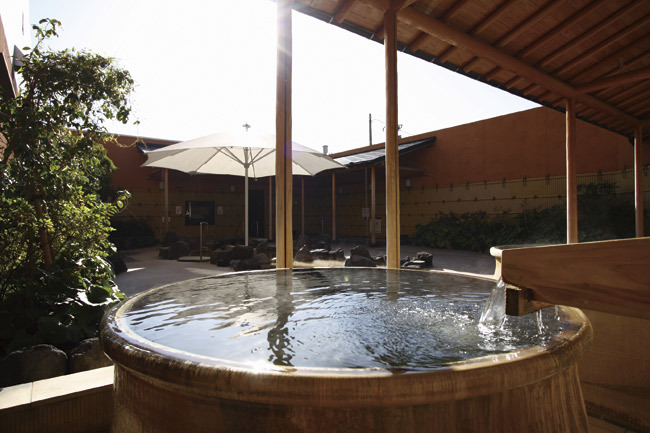 They have huge public baths, seven open air baths, a mist sauna, and a sauna theater! They also have a theater called the Komachi Theater where different theater troupes put on performances. Check our their website for more. Source: The Akita Prefectural Govt. She wouldn’t be a proper Japanese legend if she didn’t have her own festival! The Komachi Festival is held every year in her hometown of present day Yuzawa City’s Ono District on the second Sunday of June. Ono no Komachi left court and returned to Yuzawa when she was in her mid-thirties and no one really knows what happened from there. 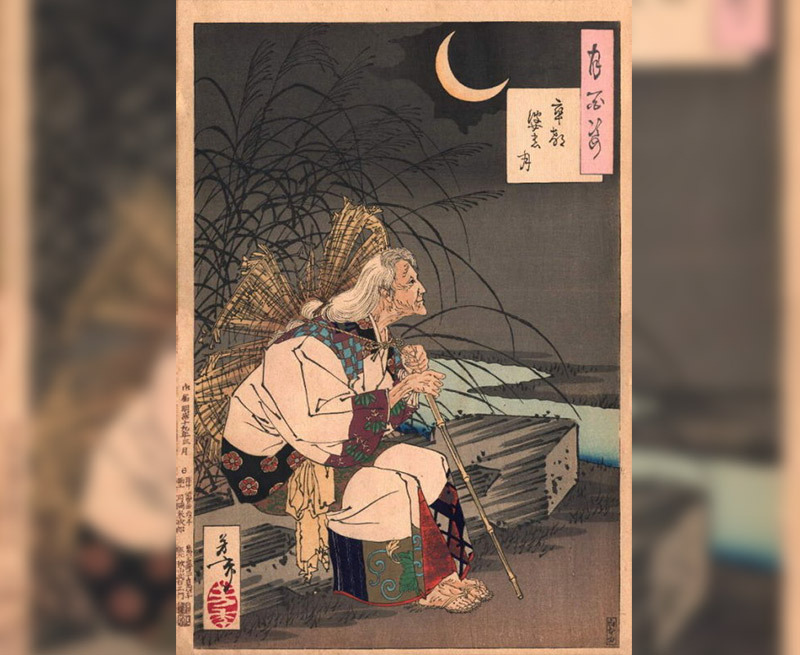 While some plays suggest that she met old age in a state of poverty and slight madness over her lost loves, most scholars believe this to be false. There are grave sites dedicated to her dotted throughout Japan so no one really knows her true burial site either. They can be found in Miyagi, Fukushima, Shiga, Okayama, and Ibaraki prefectures, to name a few. There are even two in Kyoto. Regardless of where she went, she probably spent her remaining years in peace, unaware of her impact on the world of poetry and Japanese perceptions of beauty. Mulhern, Chieko Irie. 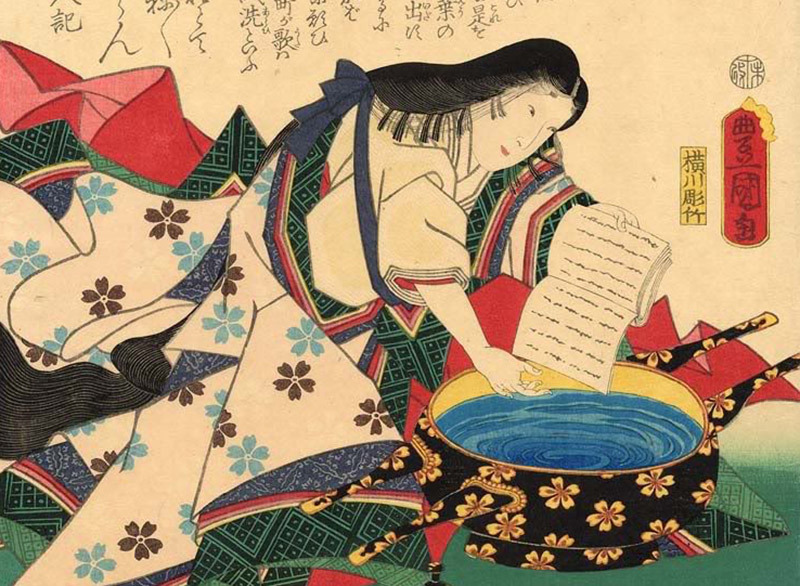 Japanese Women Writers: A Bio-critical Sourcebook. Greenwood Publishing Group, 1994. Aratani, Mariko, and Hirshfield, Jane. The Ink Dark Room: Love Poems by Ono no Komachi and Izumi Shikibu, Women of the Ancient Court of Japan. New York: Vintage Books, 1990. Niino Naoyoshi 新野直吉. Mystery of Akita Beauty 秋田美人の謎. Tokyo 東京:Chuokoron-Shinsha 中央公論新社, 2006.